The Pagsanjan River, on the island of Luzon in the Philippines, is a river system that flows through the towns of Lumban, Pagsanjan, and Cavinti. It is sometimes also referred to as the Lumban River or the Pagsanjan-Lumban River. It is also one of 21 major tributaries of Laguna de Bay, and is said to be responsible for up to 35% of the water that flows into the lake. It is thus regularly monitored by the Laguna Lake Development Authority through one of its 15 river monitoring stations. 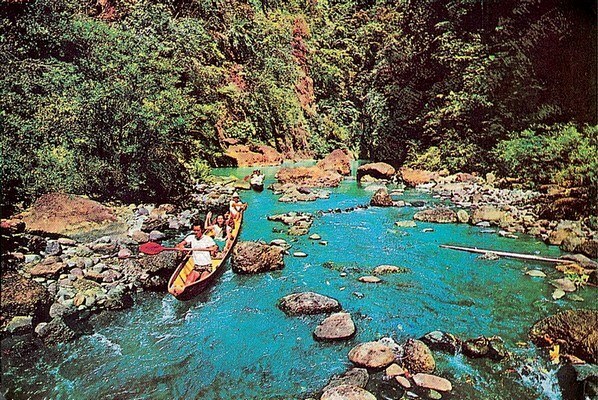 The river's headwaters drain from the famed Mount Banahaw, and from there cascade down gorges and waterfalls which have made Pagsanjan one of Laguna Province's most popular tourist destinations. For the people who live near it, the Pagsanjan River is an important source of food, water and livelihood.